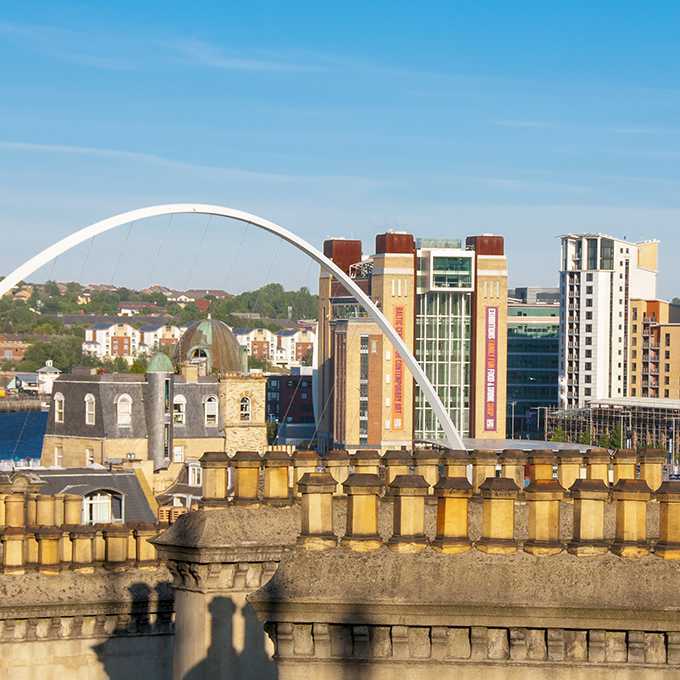 Covering Newcastle-upon-Tyne, Northumberland, Tyne and Wear, and County Durham. Poor draw up your flue? Smoky fireplace? 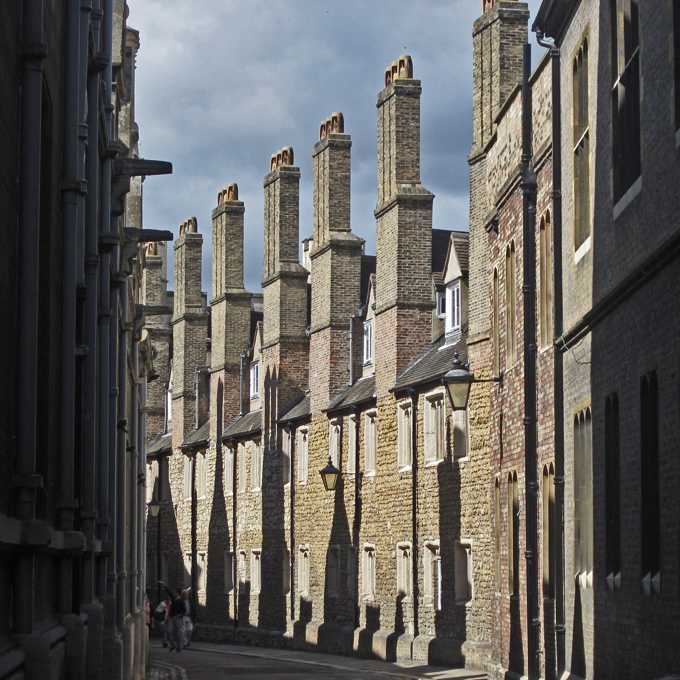 Not sure if you need your chimney swept? The first 60 minutes is covered by the standard sweeping charge and any time over and above this is charged at £30 per half hour recurring. 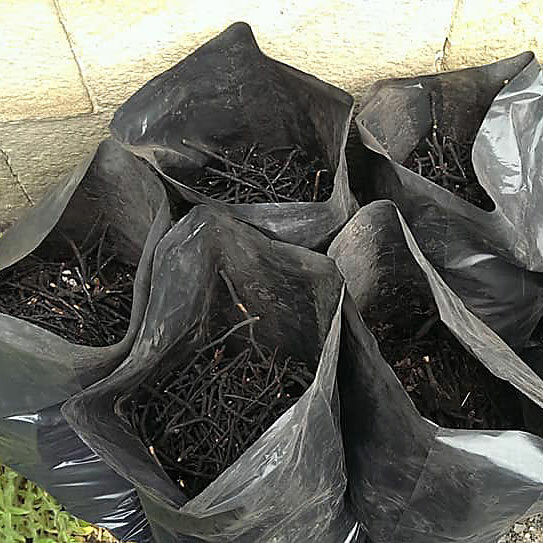 Please be aware that the removal of a bird’s nest may take anything from an hour to quite a bit more – sorry! I use a traditional rod and brush/power sweeping method or a Viper continuous rod system depending on what your chimney needs. WHY SHOULD I GET A SWEEP? 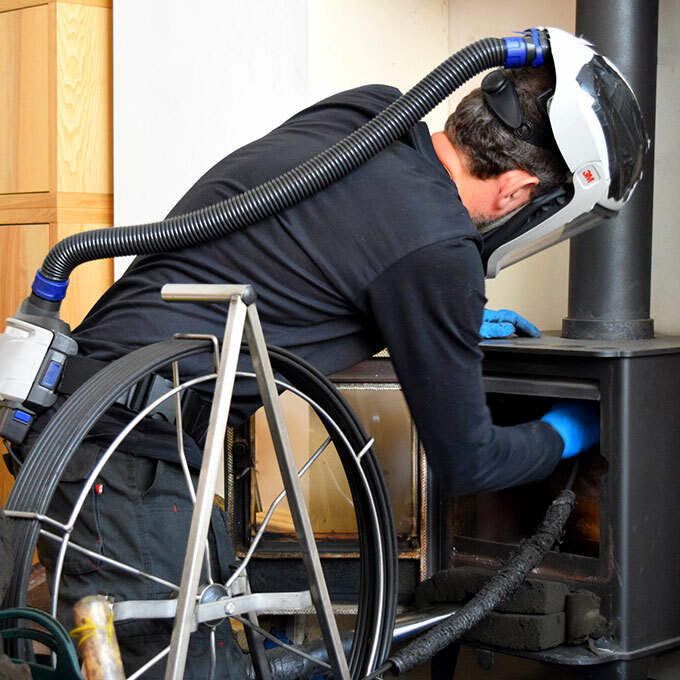 A regularly swept chimney will efficiently and safely remove all the harmful waste from gases and soot particles that are produced by your appliance, whether you are burning wood, coal, smokeless fuel or oil – and contrary to what some people believe, the flues of wood burning stoves definitely still need sweeping, even if they are lined. And smokeless fuel isn’t smokeless! 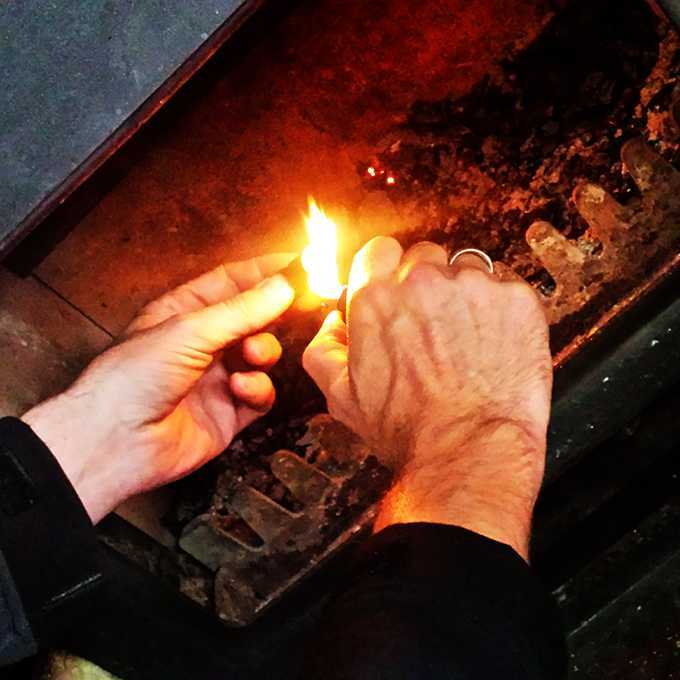 Soot and creosote that builds up in your flue is a potential fuel for a chimney fire. 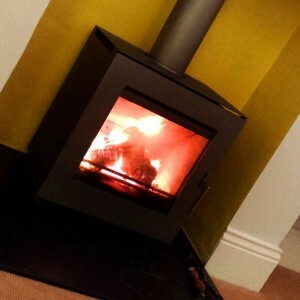 And if you’ve never seen a chimney fire there’s a photo of one below – while they’re spectacular, you definitely wouldn’t want one in your house! As these sooty deposits build-up in the flue they reduce the ability of the flue to ‘draw’ air. 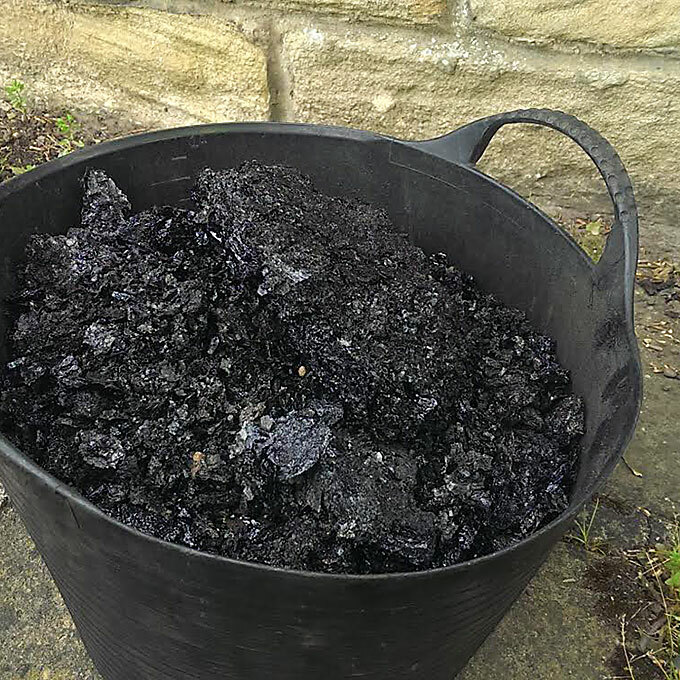 i) lack of air movement in the flue can result in the waste gases recondensing in the form of highly flammable creosote – when it’s bad it looks like someone has poured a bucket of wet tar down the chimney, as you can see in the photos below. And unfortunately creosote can’t simply be removed with a brush. It needs treating with chemicals that will effectively dry it out and make it less flammable, which then means I can sweep it out with specialist equipment. ii) lack of air movement can cause deadly carbon monoxide gases to enter the room in which the appliance is situated. 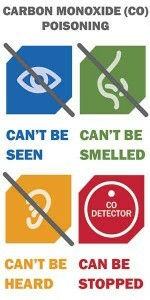 Have a look in the Safety section below which has a lot more on the dangers and symptoms of carbon monoxide poisoning. No floor? No problem! All in a day's work. 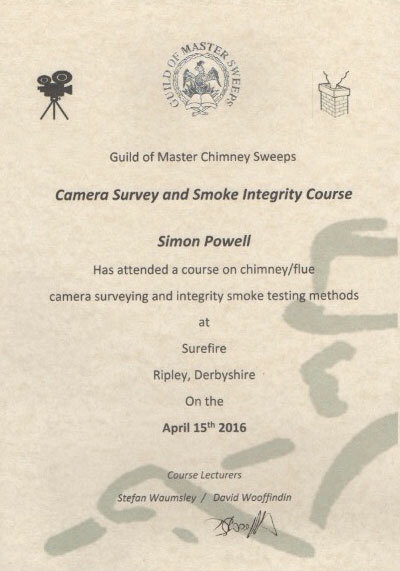 As well as this, getting a qualified chimney sweep in on a regular basis also means you’ll have an expert on hand who can advise you on the best burning practices and fuel for your appliance, give advice regarding the health of the flue, chimney stack, pot and cowl, and flag up problems you may not be aware of, all at no extra cost (although a cup of tea always helps!). 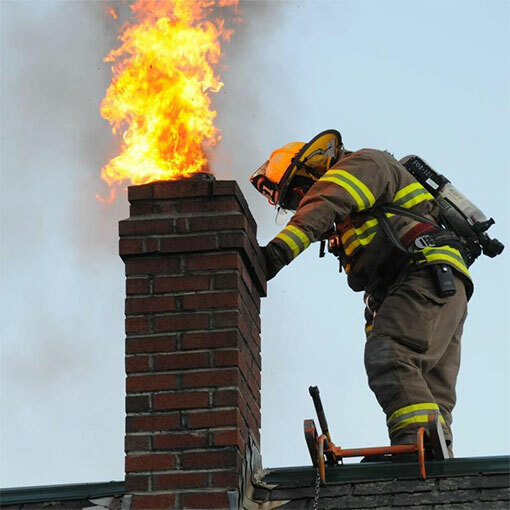 Chimney fire – you definitely wouldn’t want one in your house! 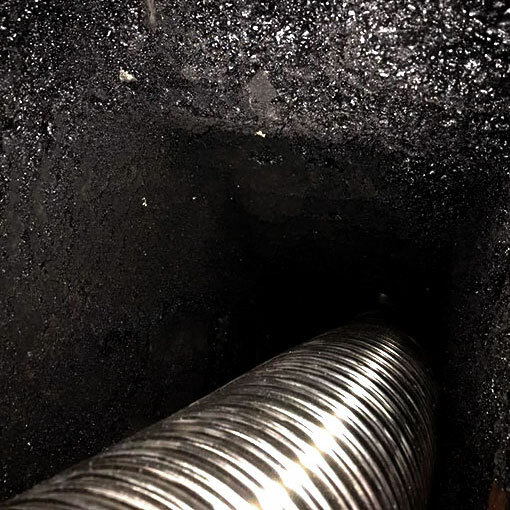 Heavily tarred flue with a liner in. 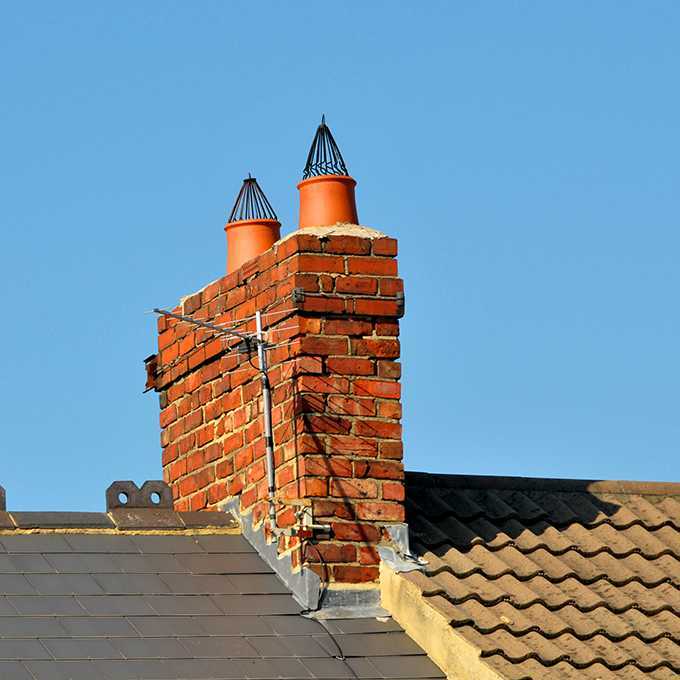 This can still lead to a chimney fire! What do you need to do before my arrival? Please remove any objects from the hearth area and surrounding mantels, and ensure that there is a clear path to the working area in front of the fireplace or appliance. I will provide adequate dust sheets for the working area but will not be insulted if you choose to ‘sheet-up’ yourself! 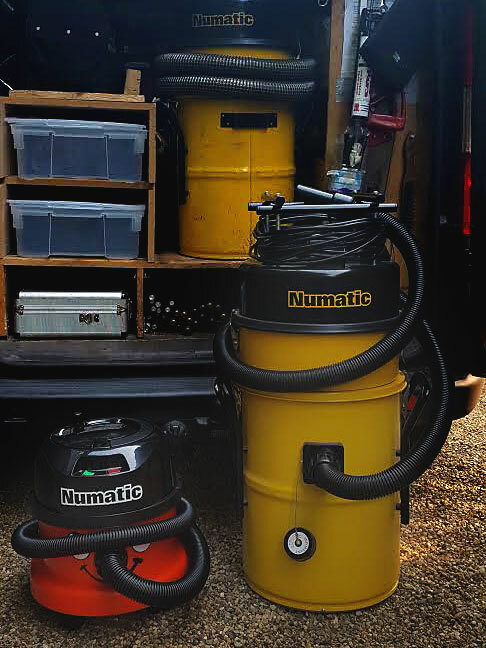 On average it should take approximately 60 minutes to carry out the sweeping process from start to finish. 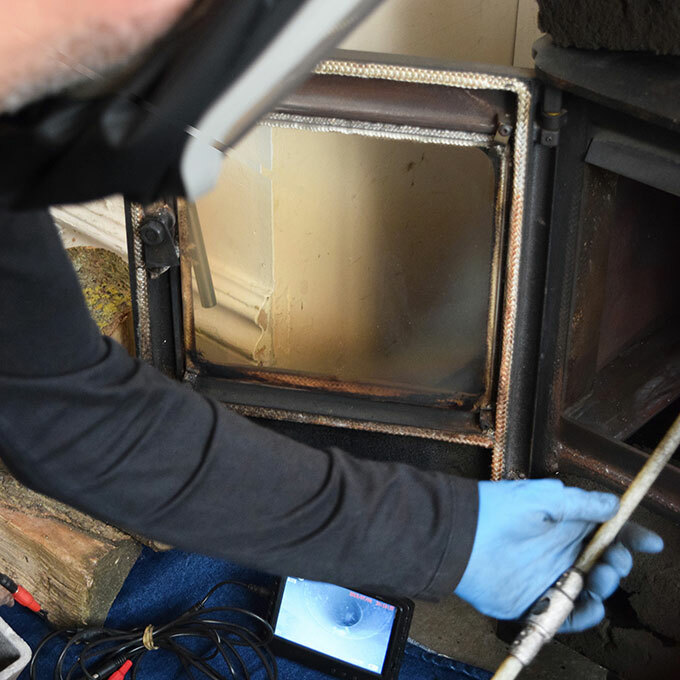 However on the rare occasions when there is a large inglenook fireplace to clear or there is an obstruction in the chimney – such as a bird’s nest – it may take additional time, which is chargeable. 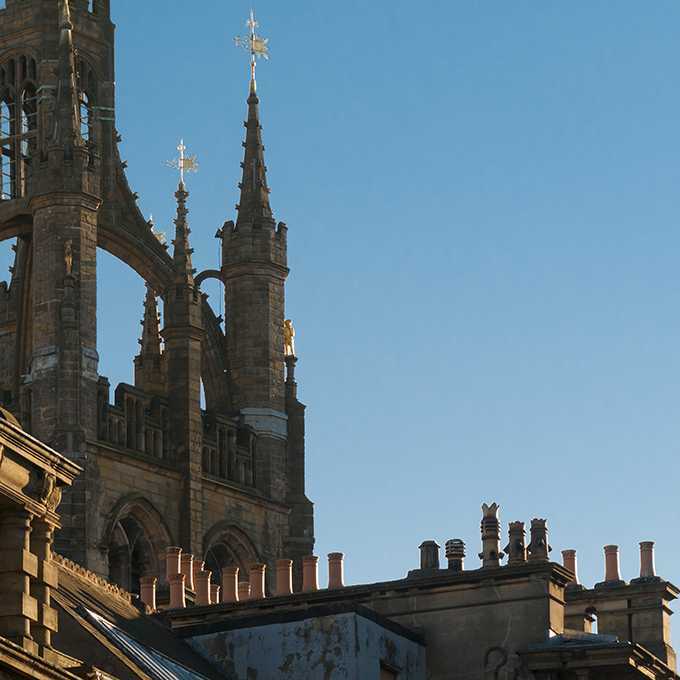 Any additional charges will be discussed with you before any work is undertaken. Please ensure the appliance or fireplace is not in use, and has had a minimum of 24 hours to cool – this is particularly important with Rayburn or Aga appliances! Pressure testing a flue in Whitley Bay. Considering the state of the pots, it was no surprise when it failed. Will there be any mess? 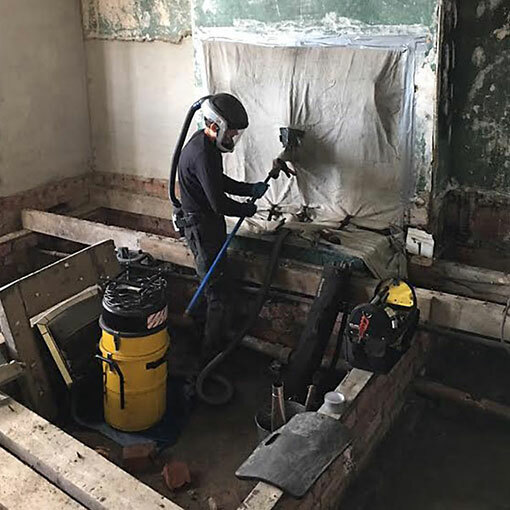 Chimney sweeping by its very nature is a potentially messy business, so I aim to protect you and the contents of your home by using dust covers, hearth sheets, soot sheets and foam blocks, as well as an industrial HEPA filtered vacuum. In this way I can keep all the soot and debris under control throughout the entire process. I take both your and my health very seriously; soot is not only a nightmare to get out of a carpet or rug, it’s also a recognised carcinogen. 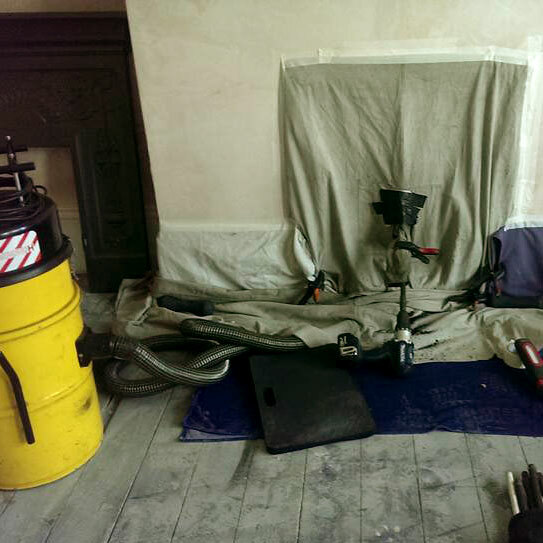 Extensive sheeting up, etc, before and during the sweep means that at worst only a minimal amount of soot can ever enter the room, and by the time I’m finished even that should be in the vacuum cleaner. And because I’m working with soot every day, I wear the latest 3M powered air purifying respirator and respiratory helmet for every sweep. That’s why I look like an extra from Star Wars in some of the photos! 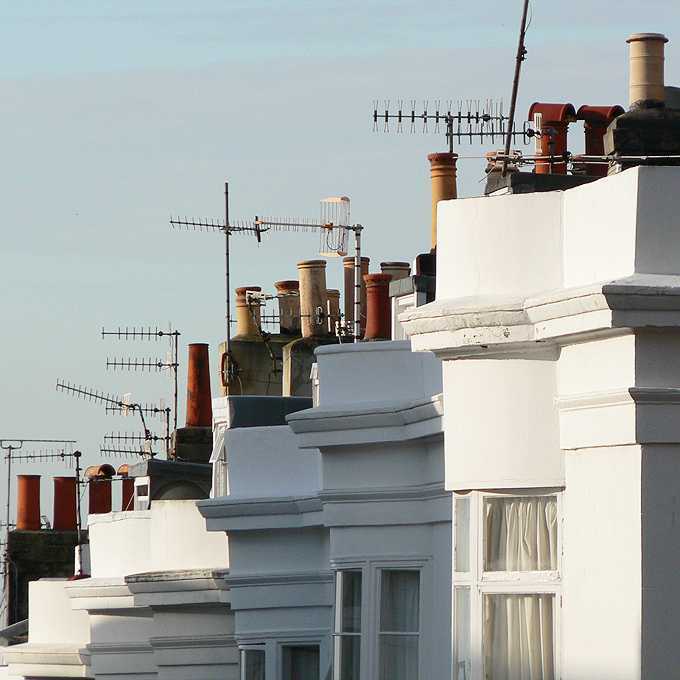 Premier Chimney Sweeping Services aim to be green as well as clean! We re-use and recycle wherever possible, even to the extent of washing our “disposable” gloves to keep them out of landfill. "Meet the two newest members of Team Premier!" Nesting debris removed from one very large nest in one very large flue! Doing my bit for the environment. And these "disposable" gloves are far too good (and expensive) to dispose of after just one use!! If you or your family experience any of the above symptoms and believe you may have been exposed to carbon monoxide, you should seek urgent medical advice from either your GP or an A&E department. 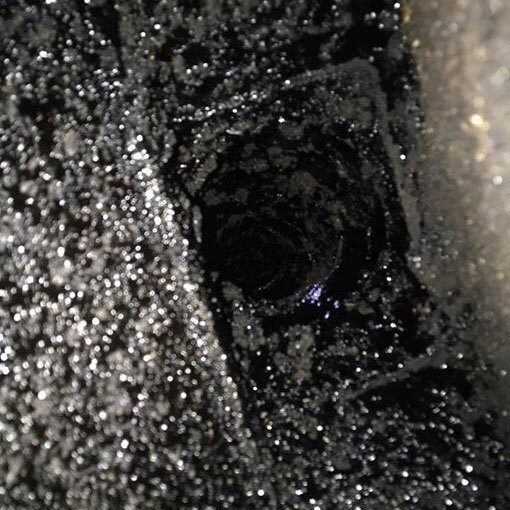 A chimney fire can often be the result of a heavy creosote build up in the flue. 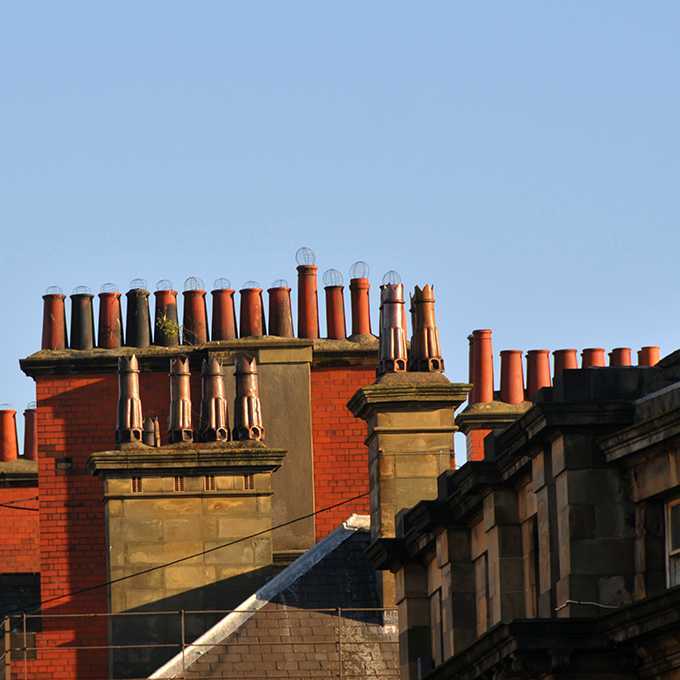 A fire occurs when the tar-like deposits ignite and burn uncontrollably within the flue – the damage is often not restricted simply to the flue and chimney stack, but can easily spread into roofing and structural parts of the building. 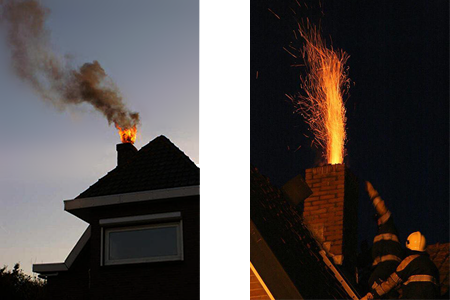 The best prevention for chimney fires is to have the chimney swept and inspected regularly by a qualified Guild sweep. 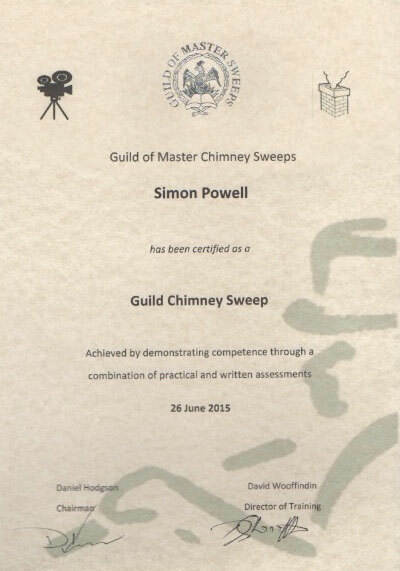 I am a proud member of the Guild of Master Chimney Sweeps (GoMCS). 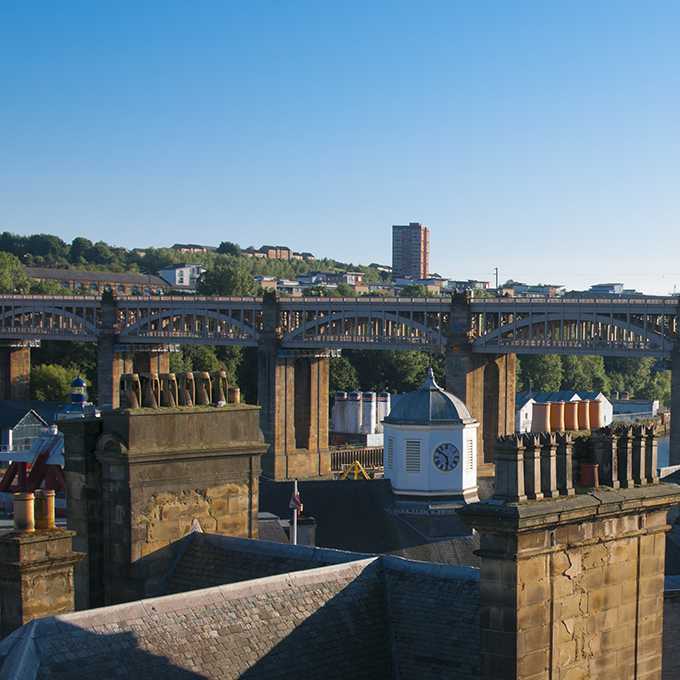 The Guild was established with the goal of improving standards within the industry by introducing comprehensive training and assessments for chimney sweeps. 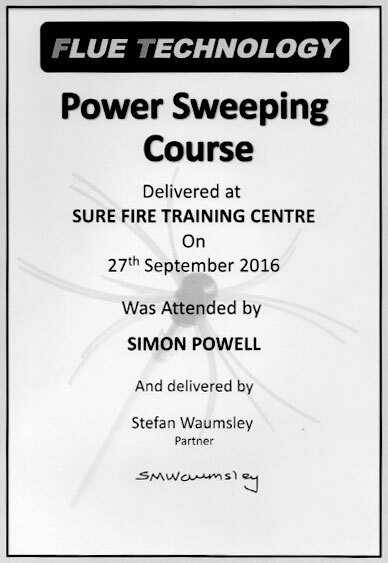 While UK sweeps are still not legally obliged to pursue any training or gain any qualifications in order to trade, for a chimney sweep to become a member of the GoMCS they must meet and adhere to strict criteria. 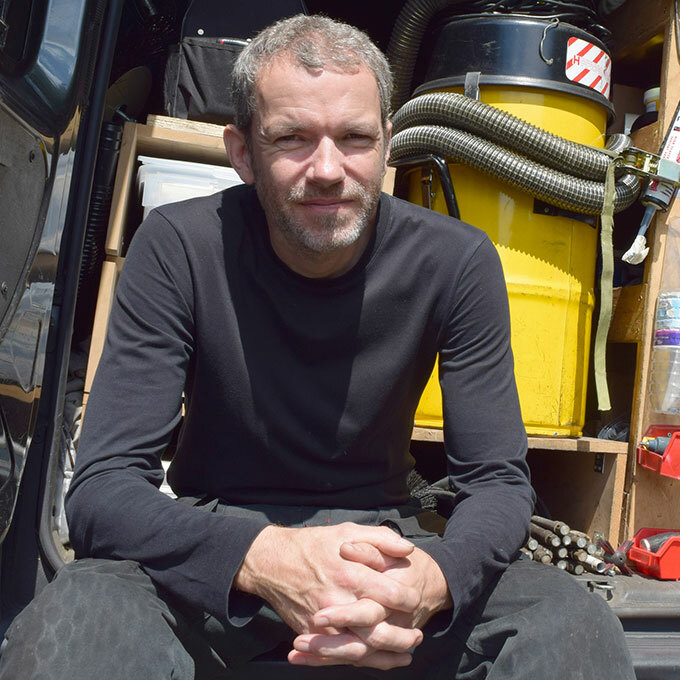 This includes carrying comprehensive insurance and being fully equipped to deal with all job situations, whilst also undertaking various levels of training. 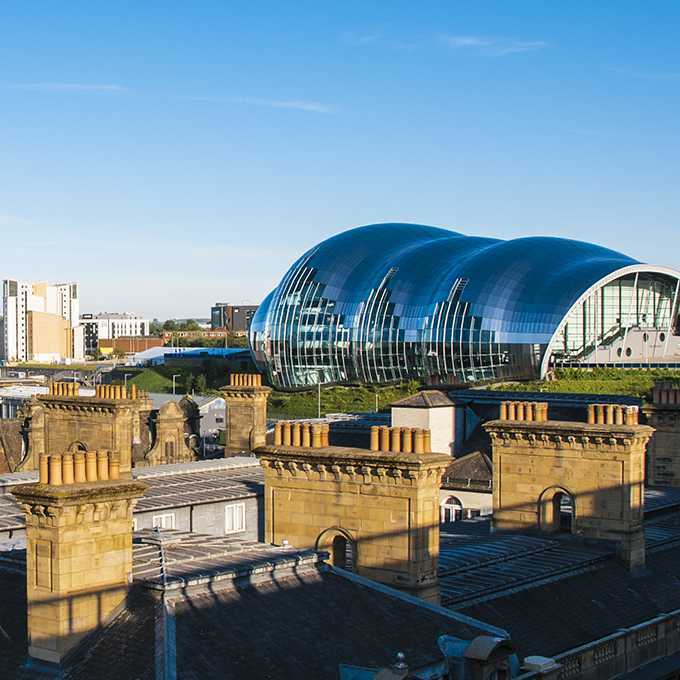 This means as a Guild sweep I can provide the highest level of service to my customers whilst having the support and experience of a national organisation. 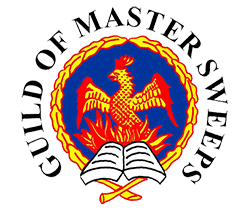 And, as the Guild is owned equally by all its members, it acts like a co-operative, benefiting from the sharing of information. In this way I am able to draw on years of experience to solve any customer problems. And in the unlikelihood that I can’t help you, I’ll be able to recommend another Guild sweep that can! Visit my profile and see my accreditations on the site here.